Modern New Zealand abstract painting titled Ten Bottles. 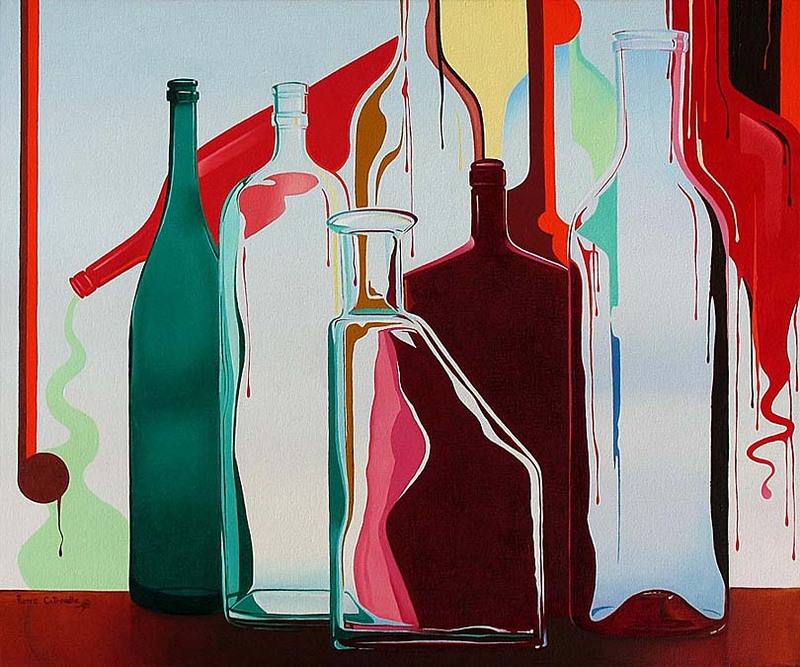 Originally this painting started out as a study of light reflections and refractions of glass bottles but then began to move in more abstract directions. Sometimes a painting will organise itself and determine its own path and the artist just has to follow. Unframed but may be hung as is.